James' first ever miniature, an old-school Warhammer Fantasy Battles wizard. He painted this sometime in 2016 when he was five years old. 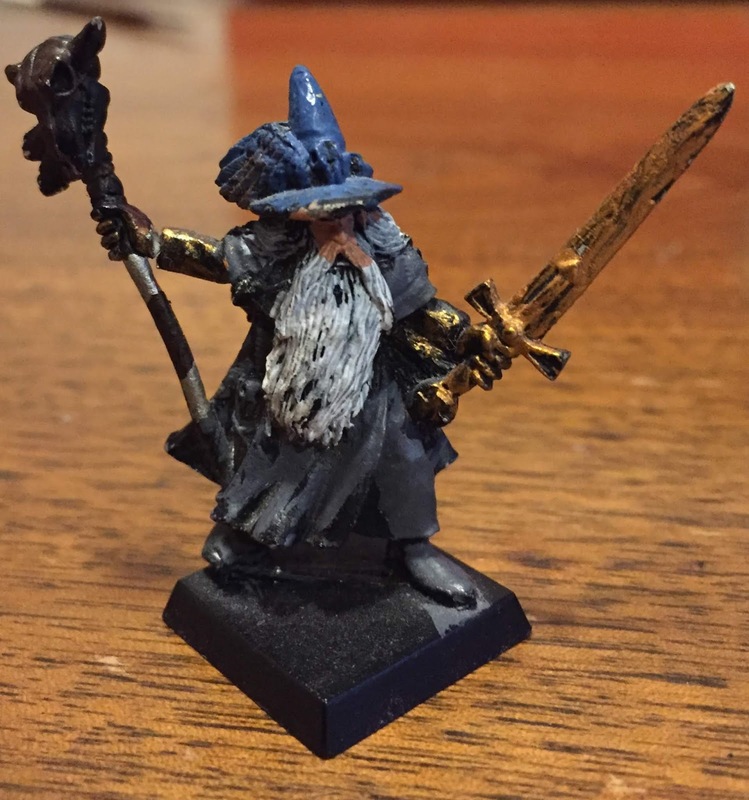 This model was painted only a few months later, some time in 2017 when he was six years old; his pride-and-joy, and his best solo-painted miniature to date (Dad only did the chest eagle and cross belt). 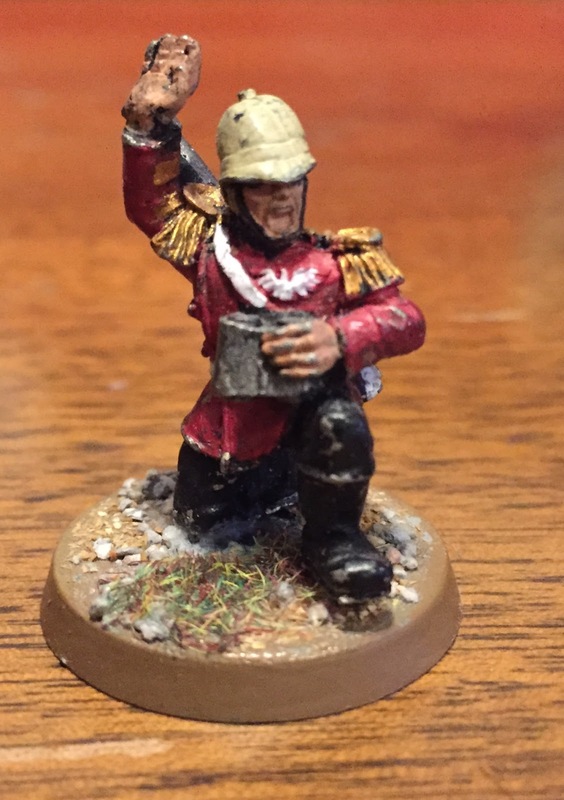 The figure is an old pewter Warhammer 40,000 Imperial Guard "Praetorian" officer. 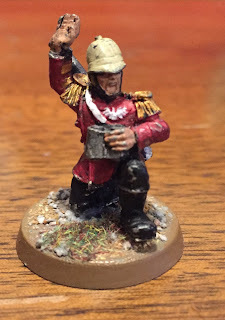 Great model and Dad will never forgive himself for selling the rest of that army. This is James' most recent work, completed in December 2018 (at age 7) a small squad of Dragon Miniatures Soviet VDV (airborne) troopers. This was completed mostly without Dad's help. 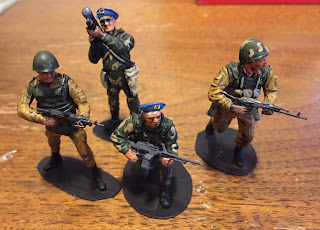 Dad helped him choose which Citadel shade to use, and did the red "star" and yellow laurels on the berets, plus the anti-aircraft trooper's goggles, and a couple straps, but otherwise this is all James. Great work, James! You are a true artist.